Today, the Royal Canadian Mint will distribute its last load of pennies to banks across Canada. After that, pennies will remain legal Canadian tender and businesses/banks will continue to accept them, but most cash transactions will be rounded up to the nearest five cents. Like the two-dollar bill and pennies in other countries, the Canadian penny has been deemed too expensive to produce and will soon become a thing of memory. Canadian author Susan Harris takes readers on a journey through the history of the penny with Little Copper Pennies: Celebrating the life of the Canadian one-cent piece (1858-2013) . In each chapter, she tells a story about the penny, such as how it fixed a train traveling across Canada or appeared as a special surprise in a child’s birthday cake. The chapters end with Penny Facts (trivia about the penny) and Penny Fun (games or activities to do with your pennies). Harris ends the book with a Eulogy to the penny and includes two appendices with more information about how the loss of the penny will affect Canadians. Little Copper Pennies also includes a chapter with pictures of how the penny has looked throughout its history and how its composition has changed from 1858 until now. the last Canadian penny was minted on May 4, 2012. 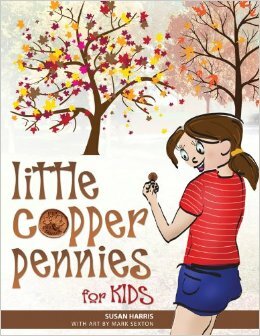 Little Copper Pennies is accompanied by a picture book, Little Copper Pennies for KIDS. Through the story of a little girl and her grandfather, Susan shares trivia and information about the penny with children. Colourful artwork by Mark Sexton accompanies the story. Susan includes two pages of more detailed information about the penny for parents/teachers and suggests activities and games that children could do with pennies. My girls love getting pennies from me or my husband, so they had a lot of fun reading a book about this bright little coin. 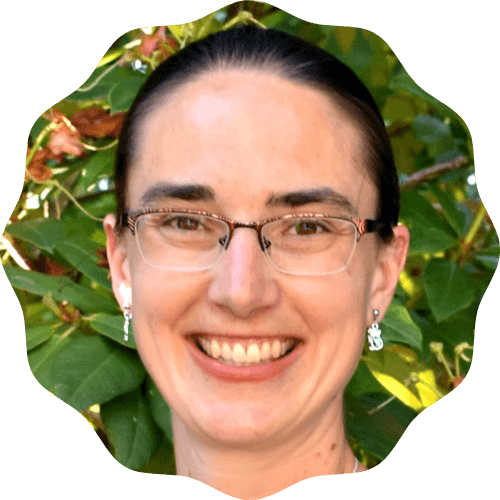 Susan is a speaker, writer, and former teacher. She was born and raised in Trinidad but now calls Saskatchewan home. She is also the author of Golden Apples in Silver Settings, an eBook collection of some of the talks she’s given over the past twenty years. Her penny books have been extremely popular in schools across Canada and Susan has been busy with interviews and book signings since both books were released in September, 2012. You can find out more about Susan by visiting her website. Both of these books are excellent resources for schools and homeschools, coin collectors, Canadian history fans, and anyone interested in learning more about the penny now that it is disappearing. I’ve been in favour of retiring the penny ever since I visited Australia and didn’t have to deal with pennies there, but I enjoyed learning more about “Copper” and its history. Susan brings a simple coin alive with stories and trivia, capturing the legacy of this small piece of currency before it disappears from Canada forever. These books are very important to keep history alive. What a fabulous idea for a book! I’m going to miss pennies. We used them for all sorts of things over the years: poker chips, playing rummoli, etc. We even (last year) did a coin drive collecting pennies as a fundraiser for our school. We raised $8,000!!! That’s a lot of pennies. Thanks for linking into the Kid Lit Blog Hop. Fantastic contribution. Cheers! Another good link for Books You Loved. Thank you! Wow! That is very interesting to know. Those books look REALLY good! They are on my list. 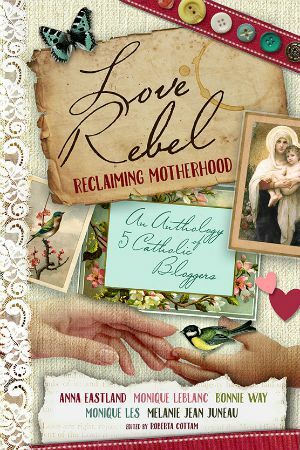 Thanks for sharing and linking up with Kid Lit Blog Hop! I love the timing of this review too! I am not sad to see the penny go. This sounds like a great book. Thanks for sharing. That’s a great idea for a keepsake now that the penny is on the way out. What an interesting idea for a book! What a great book. I love how out commemorates the penny (which I’m sad to see go!). I love learning facts like that. This would be a great book to buy my mom as she loves collecting coins.